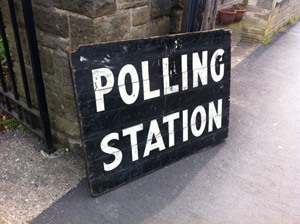 Crosspudlians will be casting their votes today to choose a new local councillor for the Crookes ward and decide whether or not Sheffield council should switch to a system that would see it led by an elected mayor. This entry was posted in council, crosspool, elections and tagged abdul khayum, alec hayward, amy mack, conservative party, crookes ward, green party, james hoyes, john hesketh, labour party, liberal democrats, poll, rob frost. Bookmark the permalink.